One look along Balestier Road and we can see rows of over 40 lighting shops in the area. 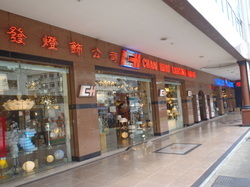 These shops sell all types of light fittings and provide either to the general public or lighting contractors. Whether you are looking for chandeliers, lamps, fluorescent lighting or fuel lamps, be sure to come down to Balestier. In the heart of the city, Balestier Road is sure to shine in the night with the glamorous and magnificent light displays in the numerous lighting shops. Due to the success of some lighting shops in Balestier, these lighting shops began to crowd in Balestier in the 1980s, hoping to earn money in the lighting business.